Wheelie Wednesdays started today with a huge turnout of scooters! 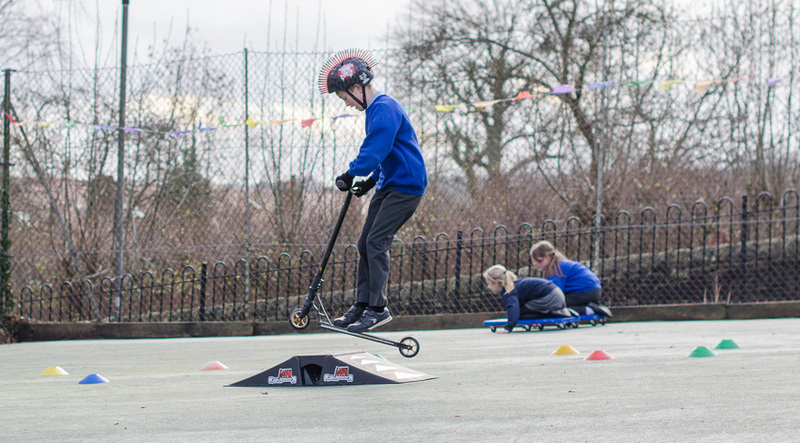 There are so many children coming to school on scooters, and we have recognised the popularity of these out of school too and are really pleased to give them the opportunity to have fun at lunchtimes on them as well. 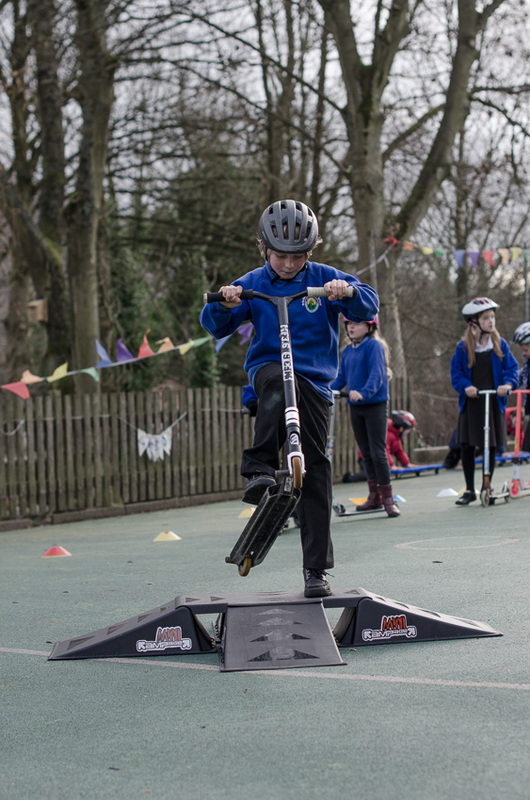 School Council meets on a Friday, and the idea of a scooter club from the suggestion board was discussed. 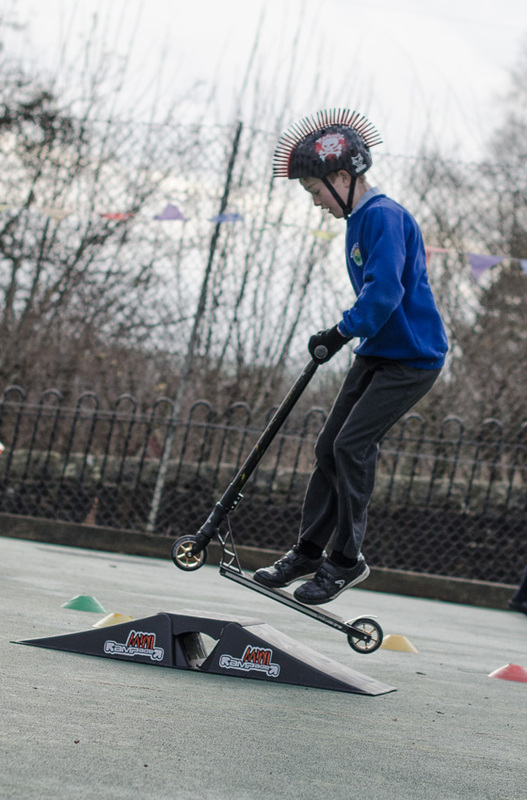 After a positive response, the wheels were set in motion and in under a week we now offer a whole lunch of scootering with ramps too!! 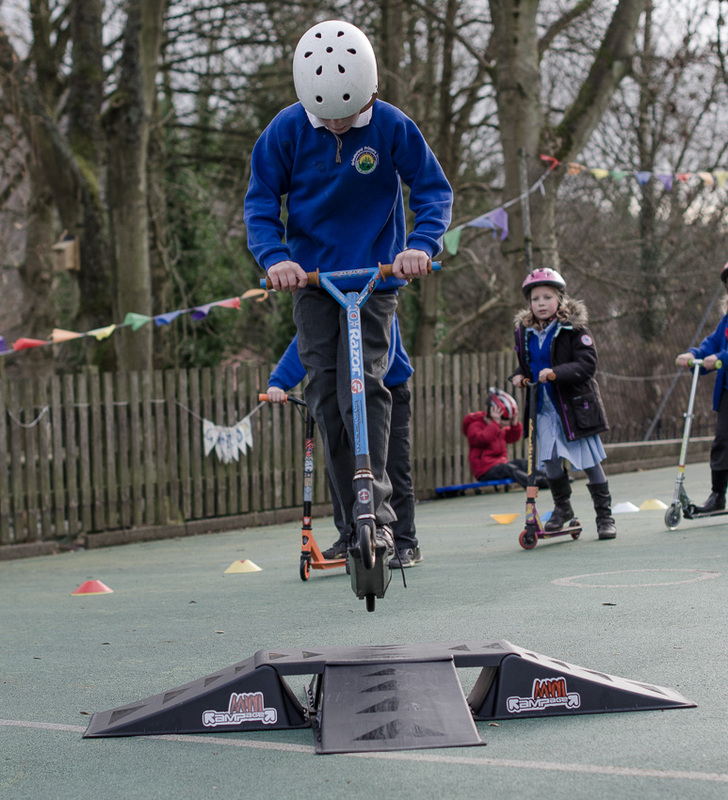 With safety helmets in place, there were a few tumbles, but nothing serious. Honestly. 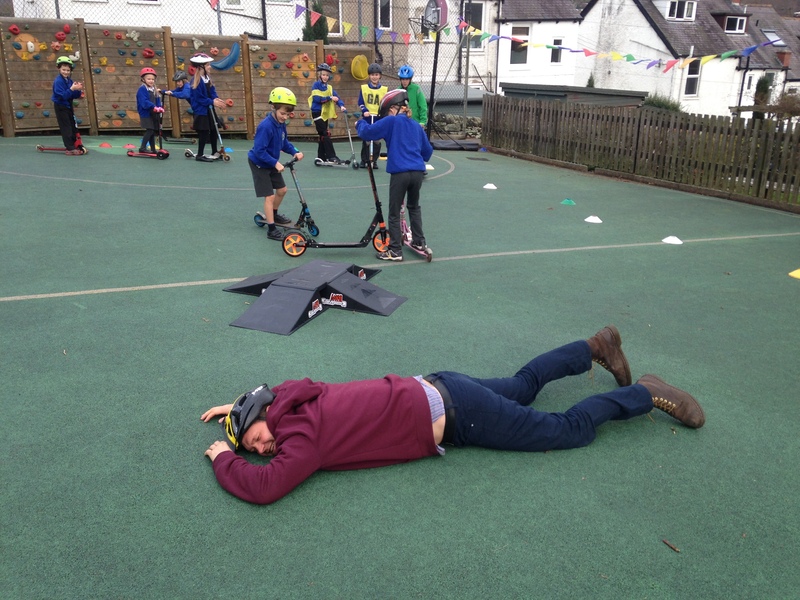 If they tell you a certain teacher went flying on the ramp and needed an ice pack, they are clearly making it up. Honestly. Posted on December 9, 2015, in General Information, Sport. Bookmark the permalink. Leave a comment.